A New Design With A Popular Print! We Present Another Top Seller, In A New Classic And Stylish Design. 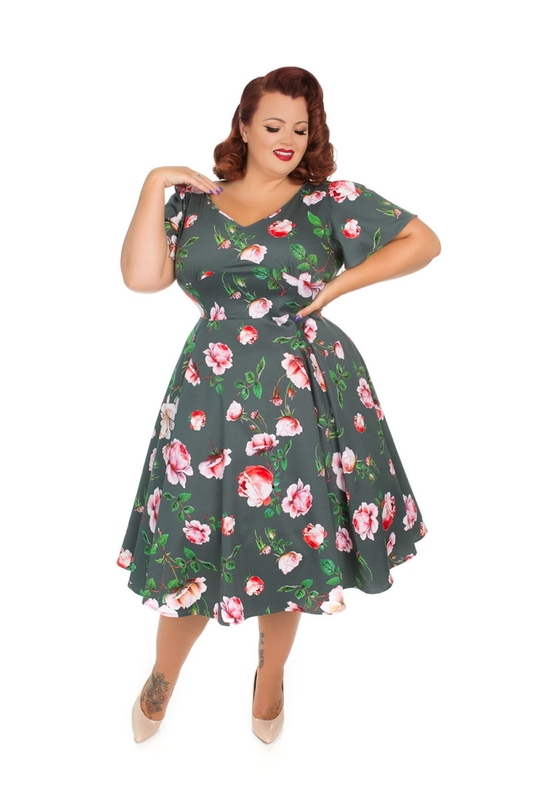 The Amour Swing Dress Has An Eye-popping Digital Print Of Floral In Cream And Pink. The Contrast Of The Colors Adds A Vibrant Looking Design To This Piece For Any Vintage Lover. 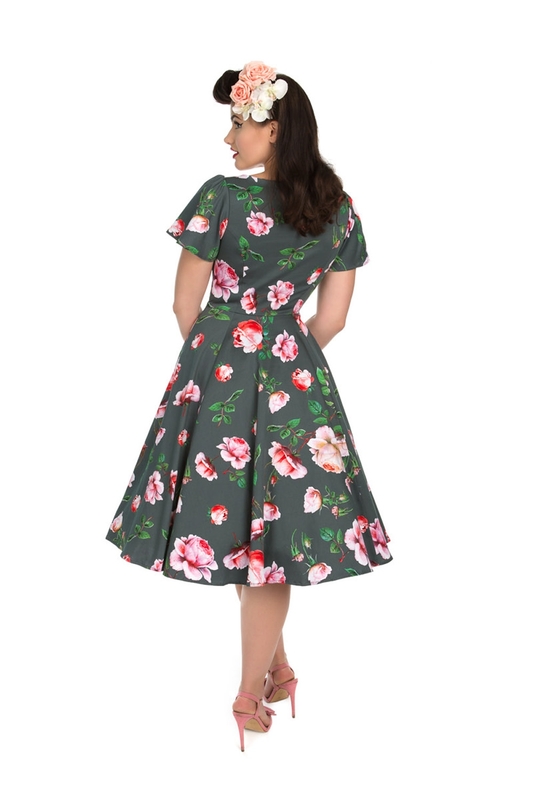 The Dress Is Fabricated On A Cotton Blended Grey Fabric, With A Simple V Neckline, While The Fitted Bodice Flows Into A Gorgeous Full Effect Swing Skirt. It Also Features Loose Sleeves, To Give You A More Comfortable Feel Around The Arms That Are Suitable For Any Seasons. 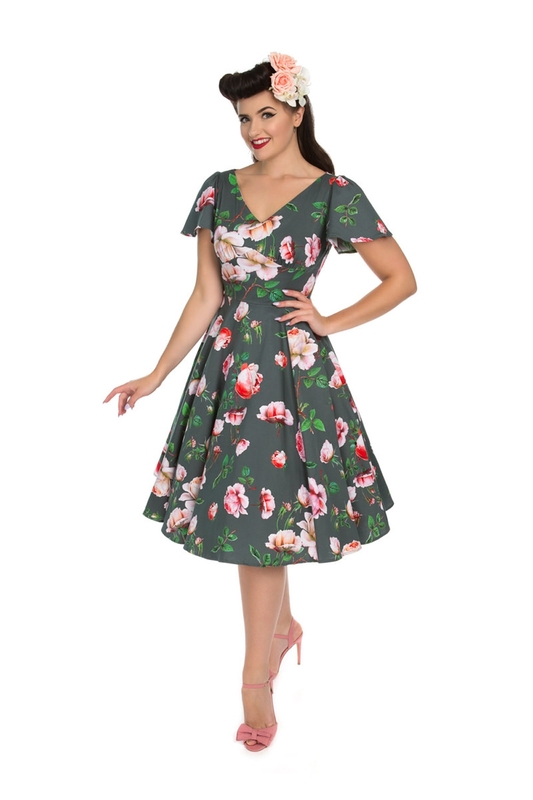 Lastly, This Addition Gives You Joy If You Choose To Add To Your Collection Of Vintage Beauties. Come On Ladies, Amour Says It's Best, So Add This Timeless And Classic Addition To Your Wardrobe. 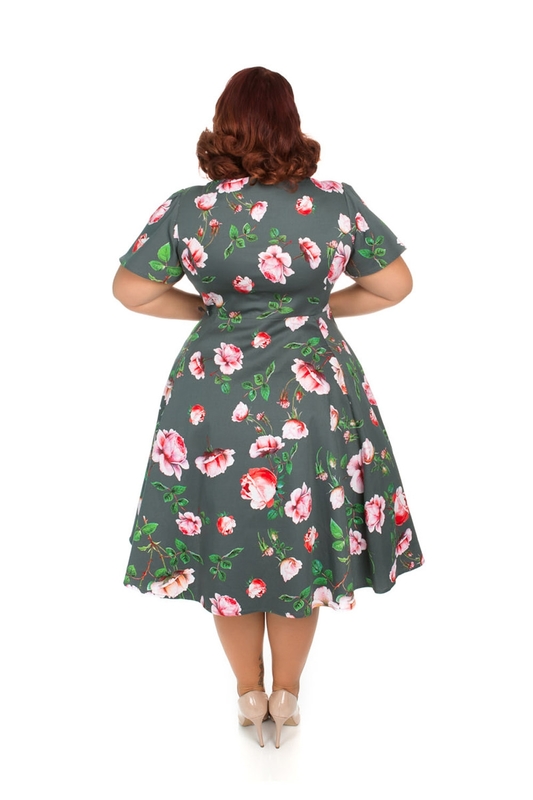 Same Design But In A Different Print Is Also Available (Style Number 4169).